Library of vote-counting algorithms for elections. Your favourite language gets closer to bare metal. ACINQ's Lightning Network implementation written in Scala. Lightning Network is a second layer protocol built on top of bitcoin to address scalability, privacy, confirmation time and many other issues. A boilerplate-free Scala library for loading configuration files. Simple project to quickly start developing a web application using AngularJS and Akka HTTP, without the need to write login, user registration etc. A presentation tool built inside the Scala REPL. Runs code straight from your slides with a single keystroke. Visually compare Scala data structures with out of the box support for arbitrary case classes. Scala libraries and tooling utilizing the Java Debugger Interface. 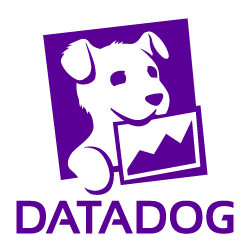 Get stock data from Yahoo Finance using Akka http. Powerful framework providing many useful utilities and features on top of the Scala language. A simple scala library offering control of Google Drive, Calendar, and the Admin SDK. - Scala command-line wrapper around ffmpeg, ffprobe, ImageMagick, and other tools relating to media. Simplified wrapper to create PDFs in Scala. Boilerplate-free typed settings generation in Scala. An experimental automated theorem prover. Do you think we are missing an alternative of Agora or a related project? There are no recommendations yet. Be the first to promote Agora! Have you used Agora? Share your experience. Write a short recommendation and Agora, you and your project will be promoted on Awesome Scala. Do you know of a usefull tutorial, book or news relevant to Agora?